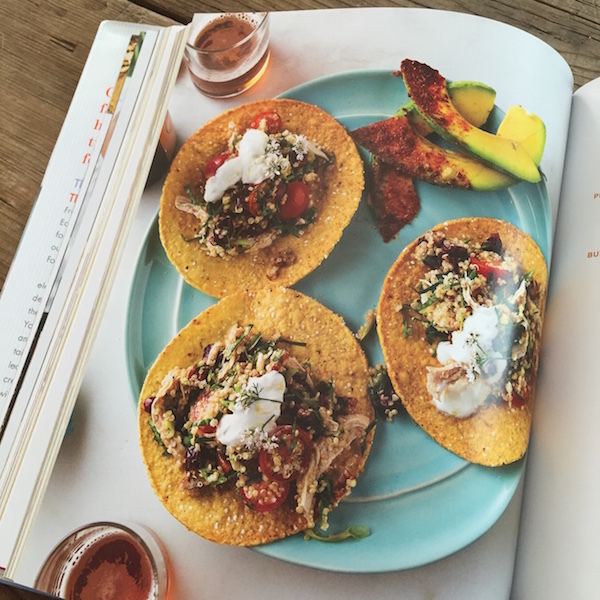 Bright and inspiring ideas to make tacos fresh and healthy again. Who doesn’t love a great street taco? 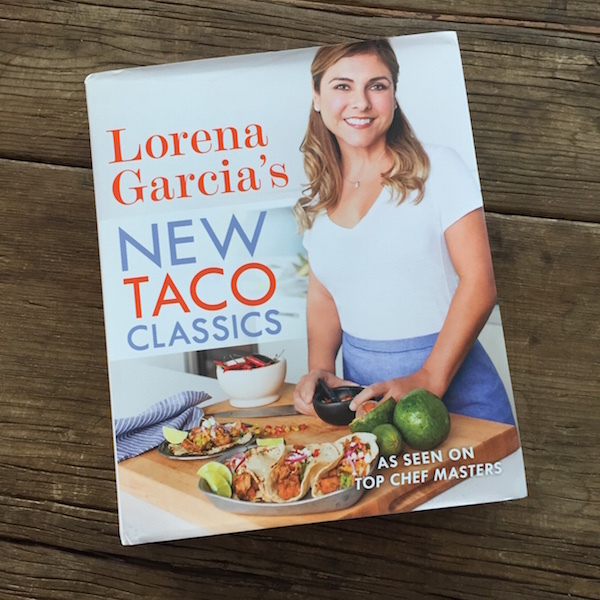 If you’ve only had tacos in a greasy Mexican joint, you will be blown away by the fresh ideas for every single component in Lorena Garcia’s New Taco Classics . Garcia provides recipes for the tortilla itself, salsas, pico de gallos, bean spreads, slaws, and a variety of protein fillings. 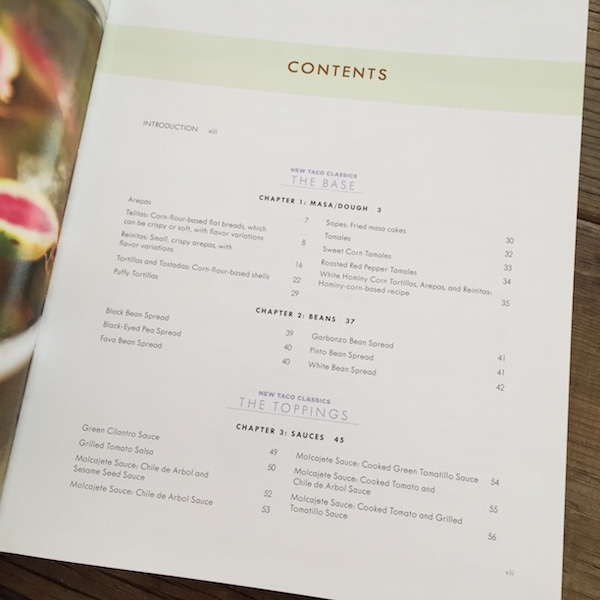 The book is organized into four logical sections: base (masa/dough, beans), toppings (sauces, picos, pickled recipes, cremas, slaws), fillings (chicken & poultry, pork, fish & seafood, meats, veggies), and sides. I love the organization, which allows you to mix and match items, as well as expanding your ideas about what a taco can be. The book has a fresh, clean design. 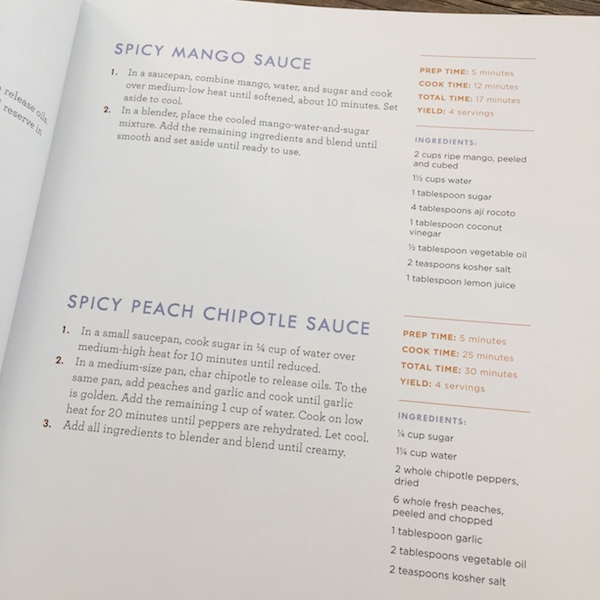 My only critique of the recipe layout is that some of the light-colored type is difficult to read. Full-page, full-color photographs by Michael Pisarri are sprinkled throughout the book, full of vibrant colors and beautifully styled. Recipes include blue corn tortillas, sweet corn tamales, black-eyed pea spread, molcajete sauce: chile de arbol and sesame seed sauce, mint avocado pico de gallo, Peruvian corn salsa criolla, Napa cabbage-pomegranate slaw, crispy buttermilk fried chicken with spicy guasacaca, prickly pear bbq pork, angry shrimp, beef tenderloin tacos with blue cheese slaw and crispy onions, roasted beets and potato tostada, and roasted sweet potatoes with chile, lime, and agave. 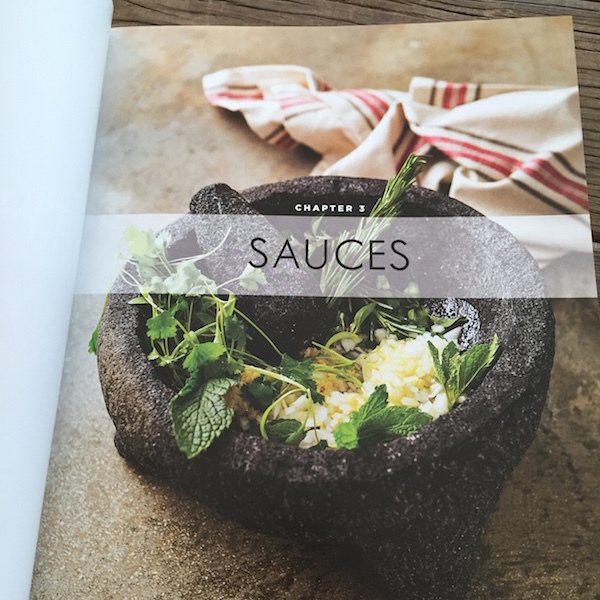 A truly inspiring look at a humble food, with more than 100 recipes to incorporate into your cooking. Whole foods ingredients. Most recipes are naturally gluten-free. Could easily be made low-sodium by omitting the salt (except for the recipes that include cheese). Could also inspire a paleo or a vegan cook who knows how to adapt recipes for their diet. Required FTC disclosure: I received one copy of this book from the publisher for the giveaway on December 17th, 2015.